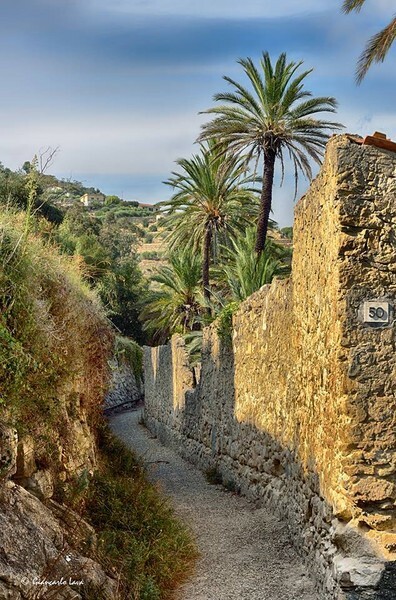 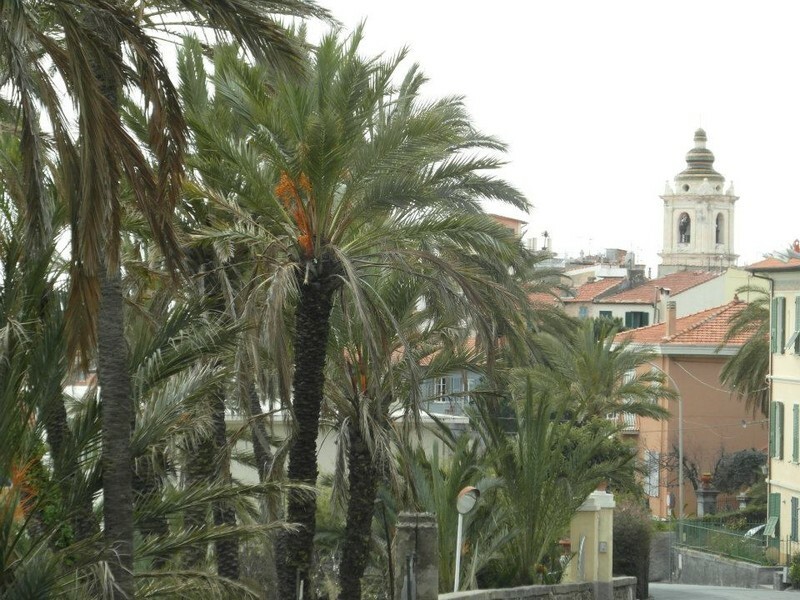 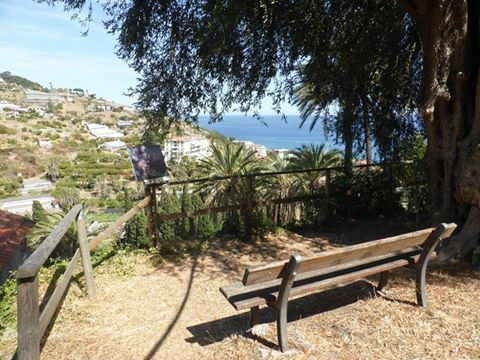 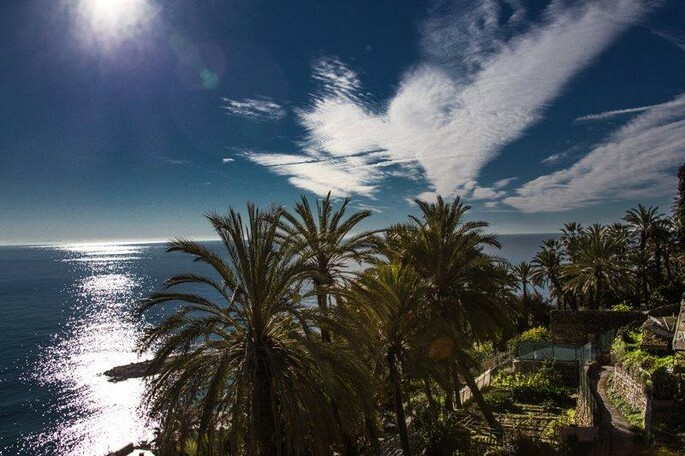 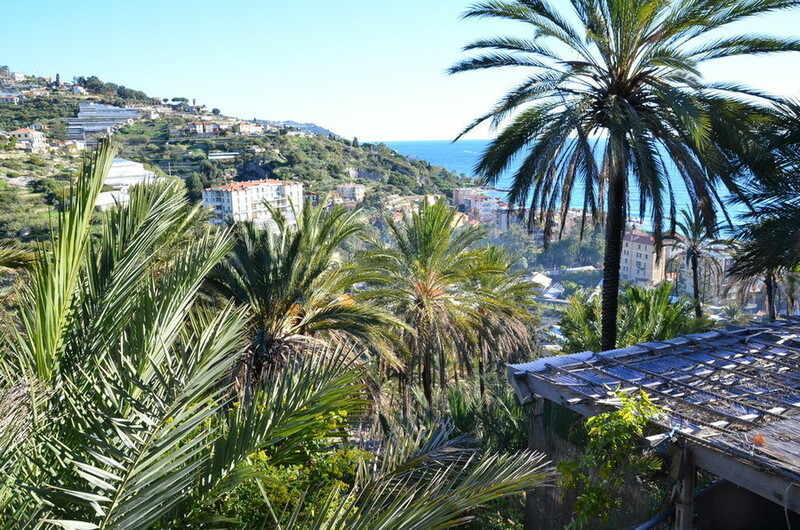 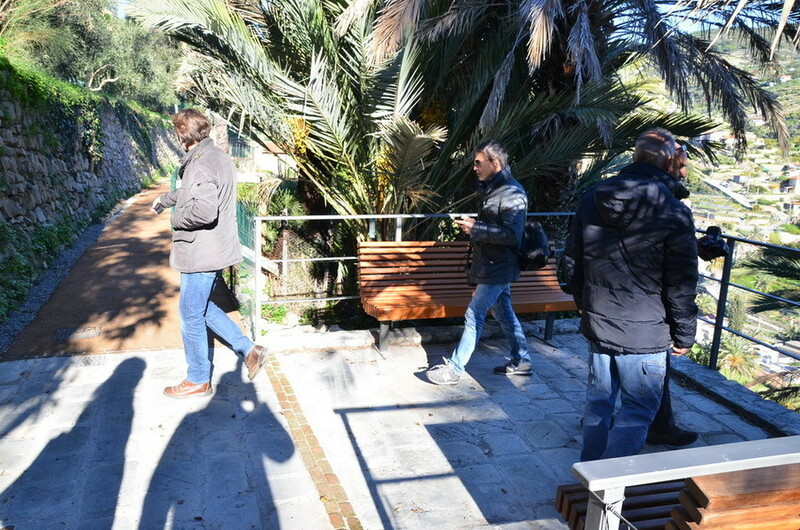 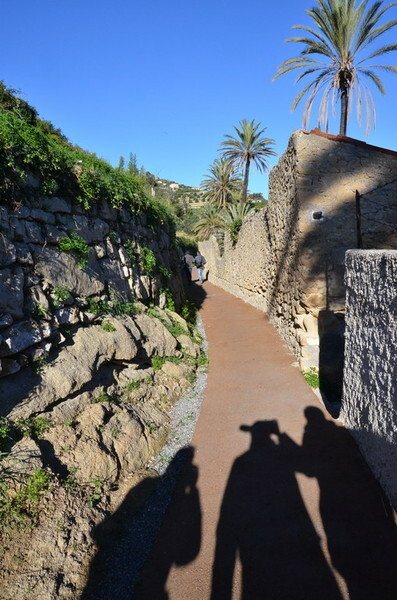 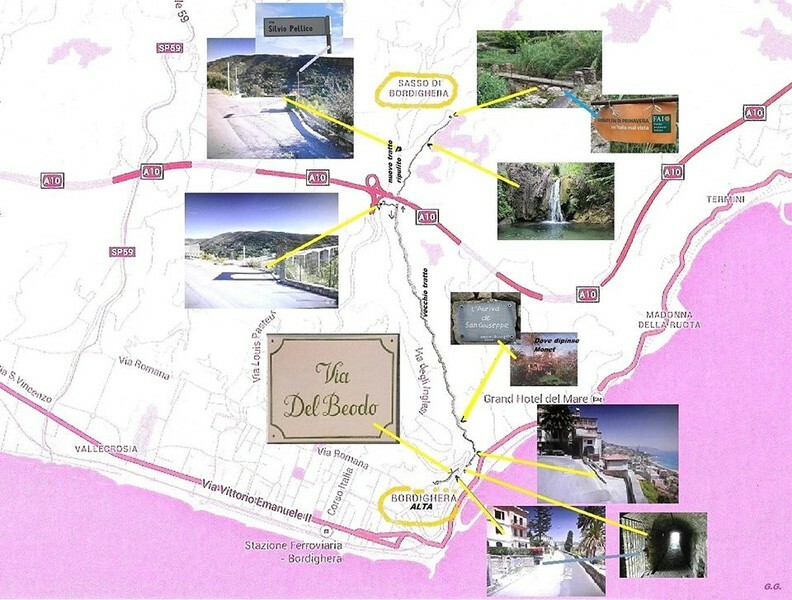 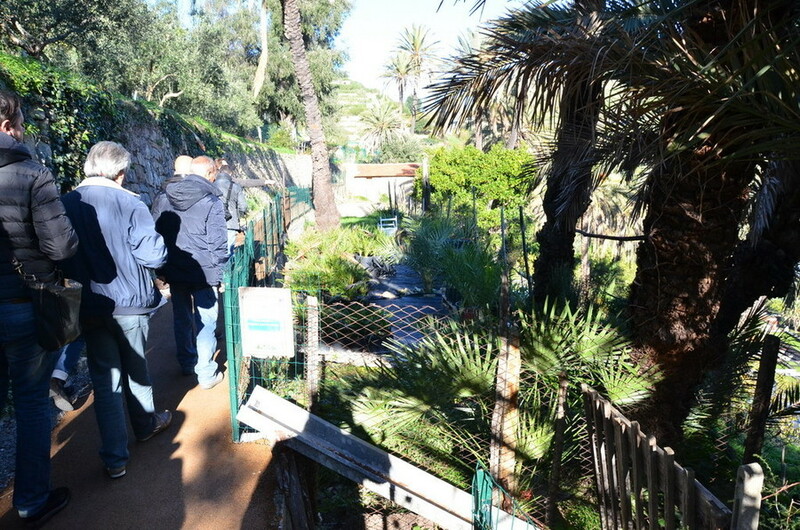 "It is one of the most exciting walks in Bordighera, which no artist could forget", exclaimed Charles Garnier: "it is a continuous succession of places in which shape and elegance harmonize." 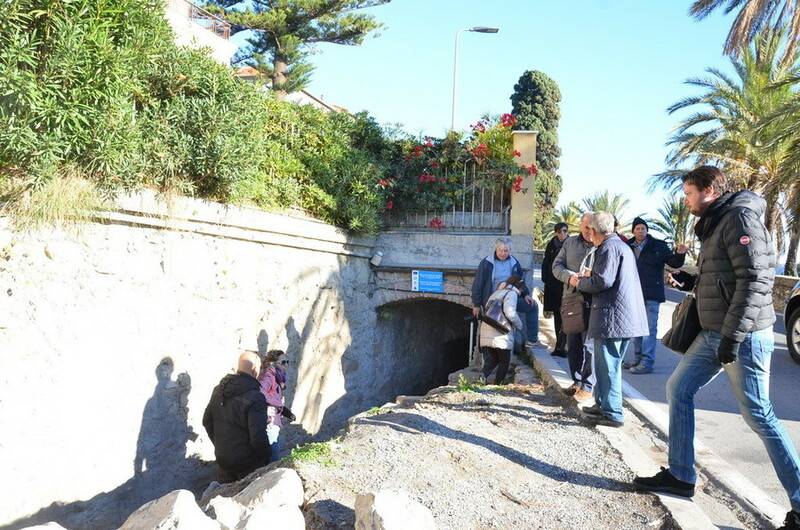 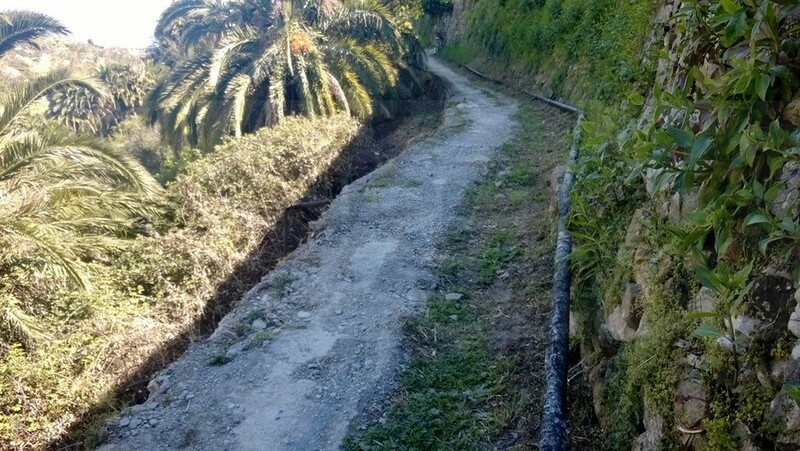 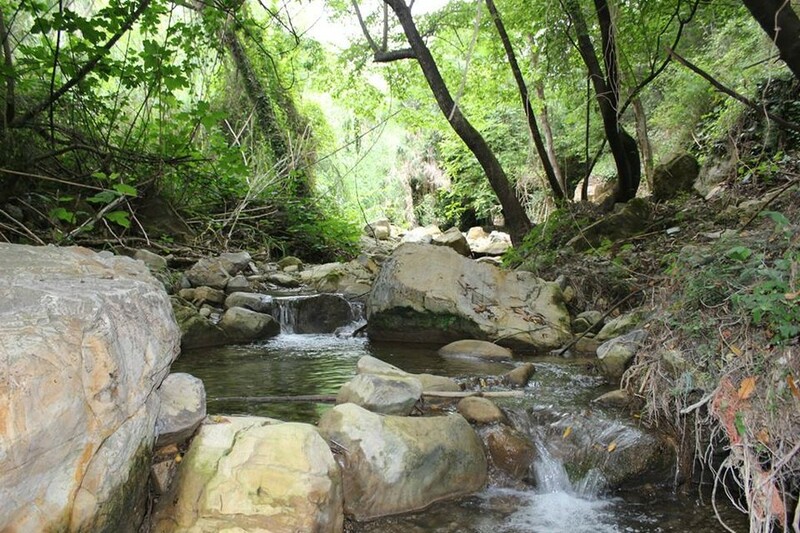 It is the walk along the way of the old aqueduct which brought the water for drinking and irrigation to the city. 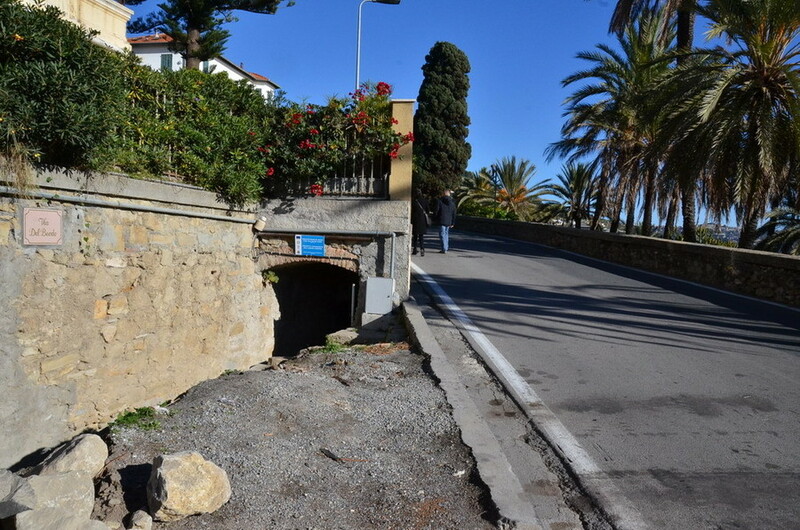 It fed a cistern (now covered) built in the middle of Piazza Padre Giacomo Viale. 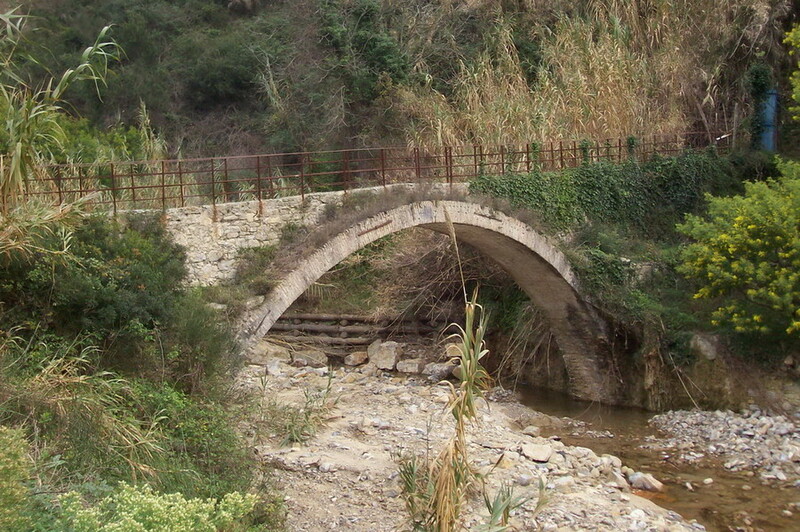 The water cystern gave water to houses, fountains, oil-mills, public wash-houses, gardens and kitchen-gardens. 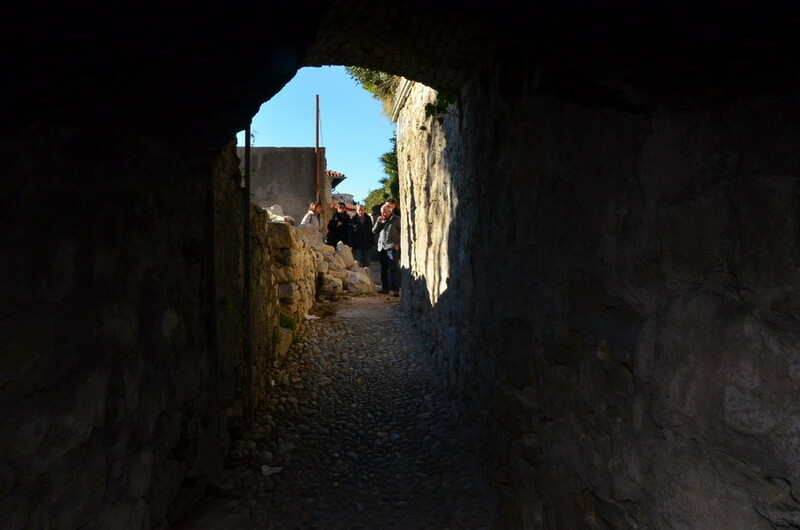 The path starts immediately after the Old Town (through the Via dei Colli), goes through a tunnel, ascends the Valley of the river Sasso along an old mule-track, then it proceeds along the dry-stone walls, punctuated with mimosas and brooms, olive-trees, cacti and palms. 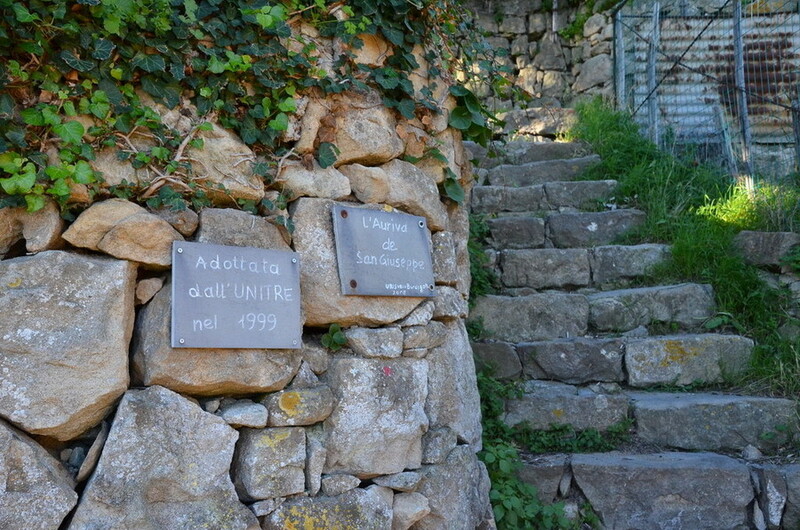 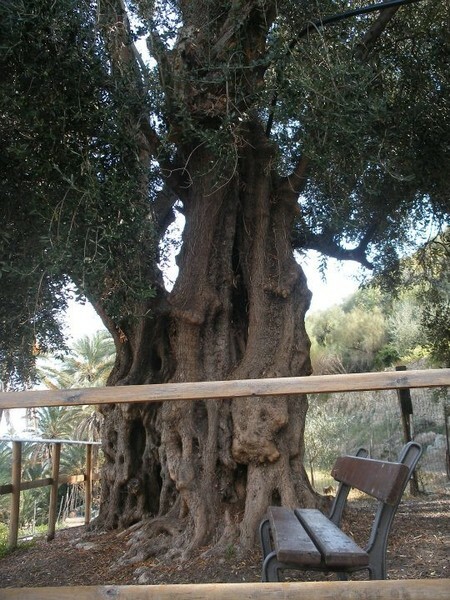 It dominates the coast, and then turns in the direction of the small inland hamlet of Sasso. 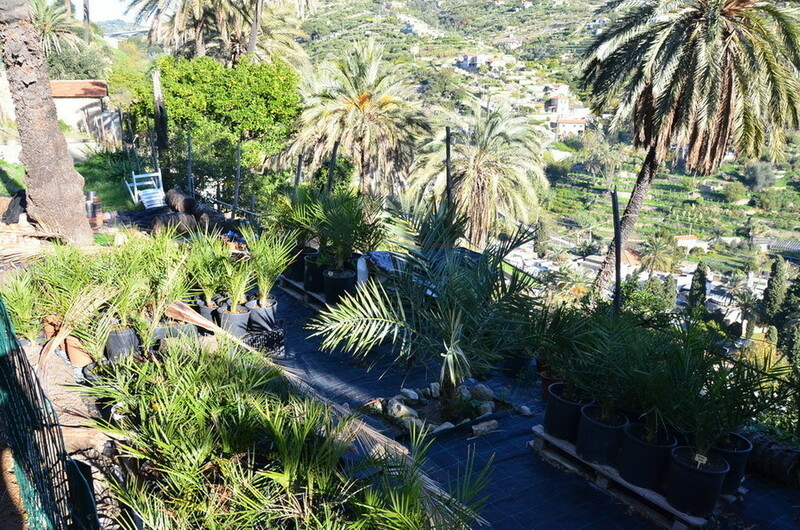 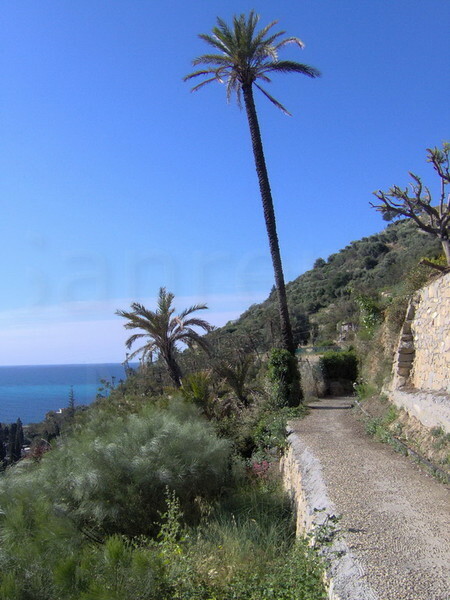 The palms here have the power to enchant visitors and transport them to the east. 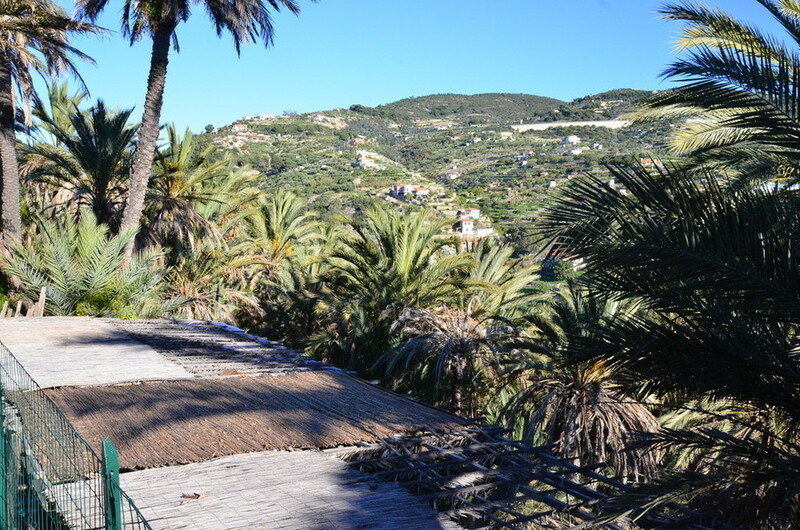 The view is also open to cultivated terraces, the Mediterranean, the stone walls, so fragile under the raging autumn rains, but so well integrated into the hillside, almost a decorative element. 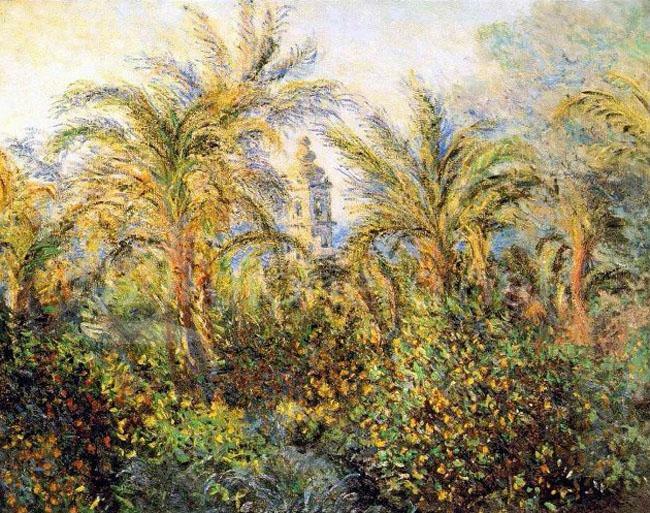 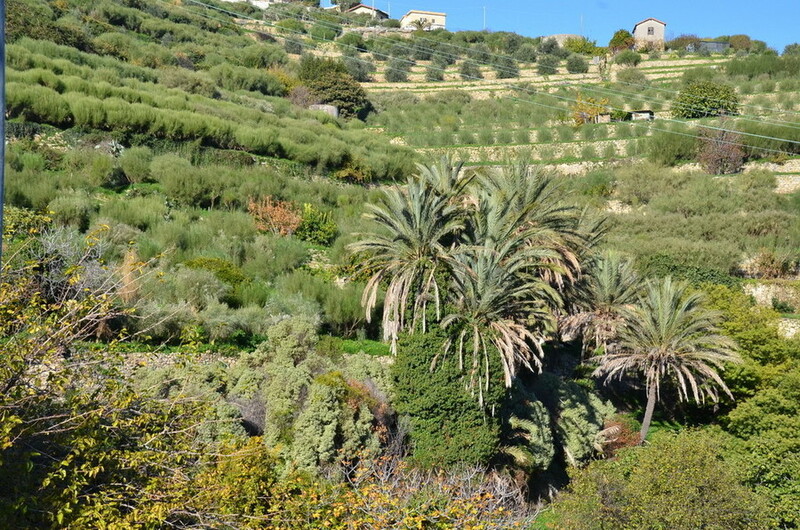 At the top is the small village of Sasso, which gives its name to the valley, and one sees the reason why Claude Monet, while in Bordighera in 1884, explored the valley through its colors, light and shapes of the palms, so fascinating, but at the same time so difficult to reproduce on the canvas.